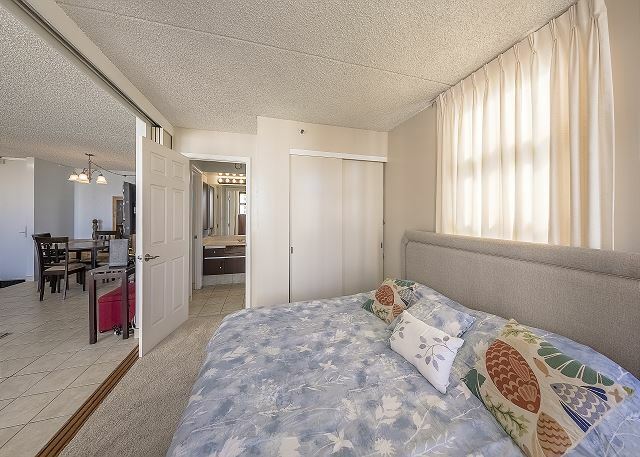 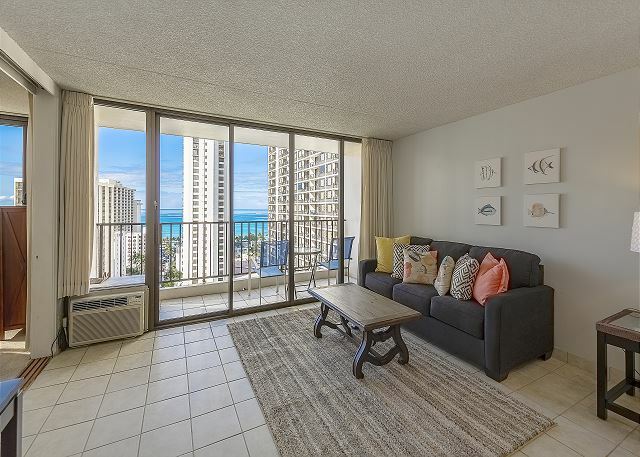 Located 1 block from the famous Waikiki beach, this large corner-end 1-bedroom has a beautiful cross breeze constantly flowing through the condo. 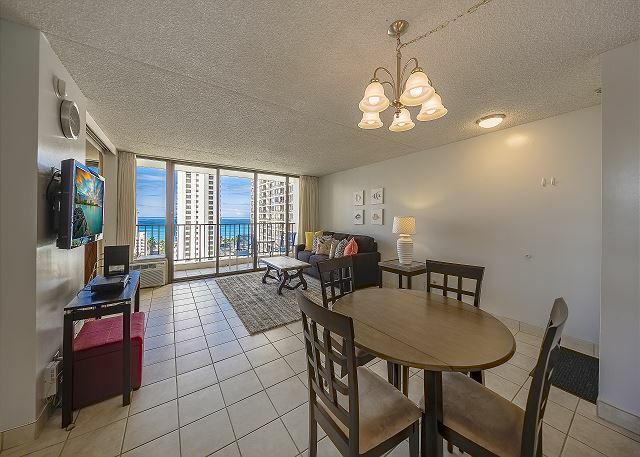 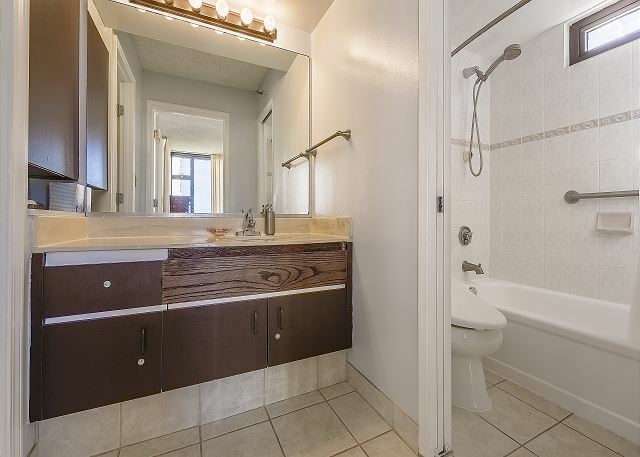 This unit has 1 king size bed in the bedroom, a queen size sofa bed, round dining table set and flat screen TV in the living room, and a private lanai with oceand and Diamond Head views. 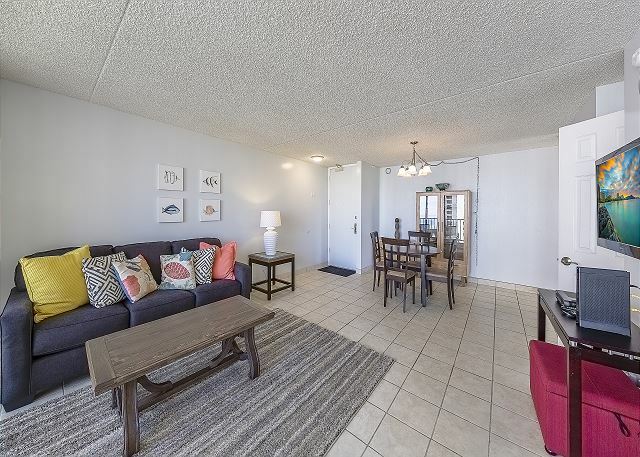 We provide fiber fast WiFi and one parking pass for free! 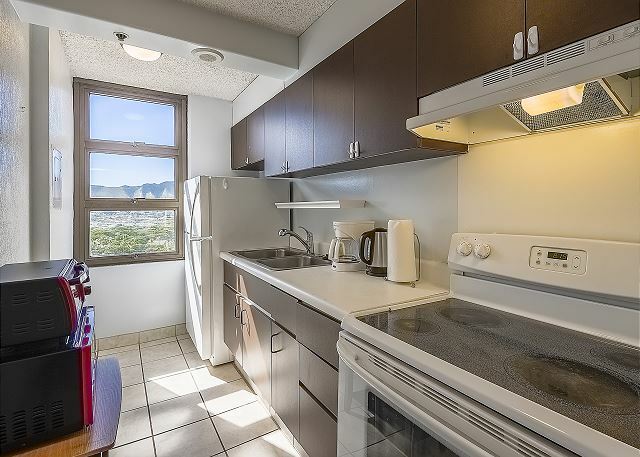 Coin operated laundry facilities are located on each floor. 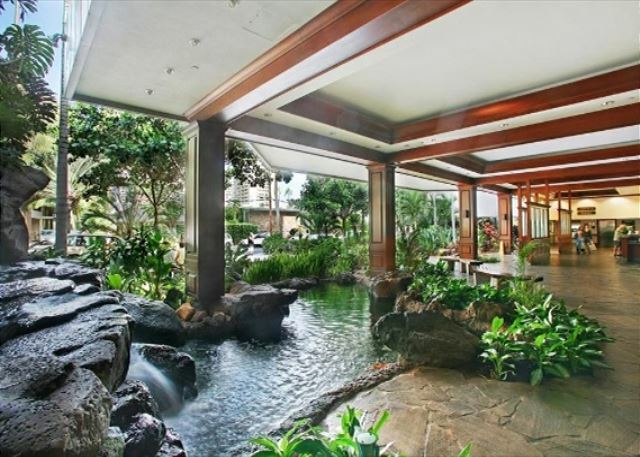 snack shop and 24 hour security gurad. 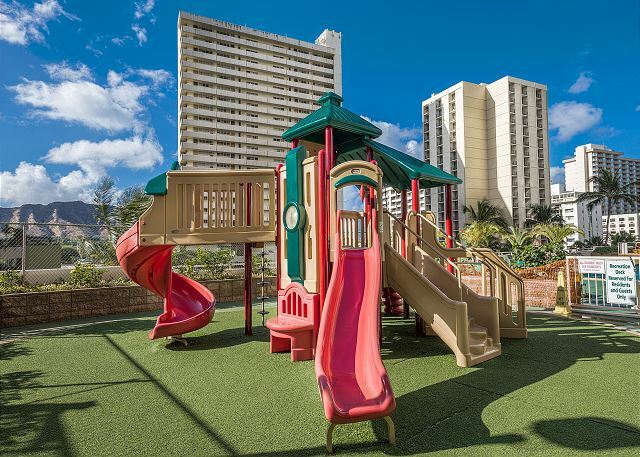 centers, luaus, etc.within walking distance. 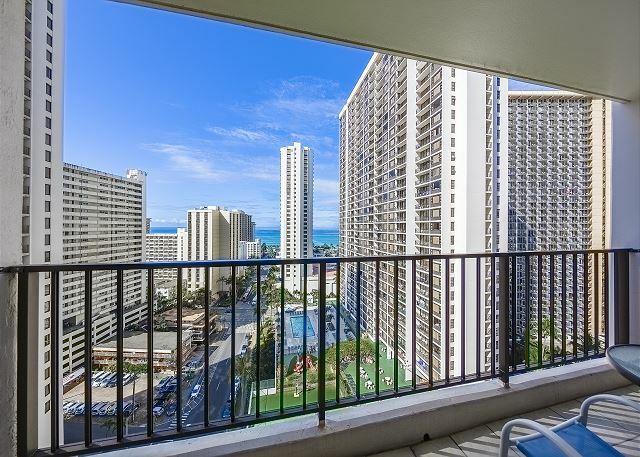 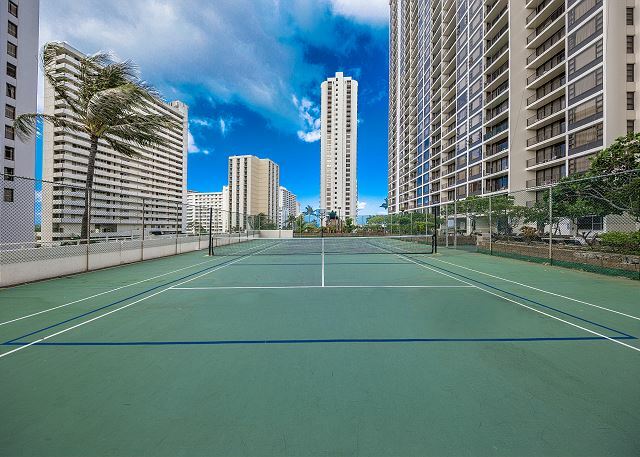 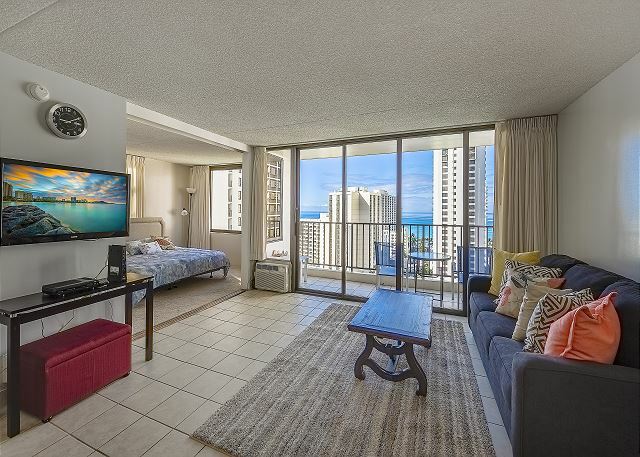 This unit is located in Waikiki Banyan Tower-II.